Most Indonesians are not generally aware of the real value of our forests. In fact, only the current government has given forests their rightful place in the Cabinet structure, placing it as a function of the environment strategy. As in many developing countries endowed with tropical forests, Indonesia has always seen forests in the perspectives of security. The dense foliage of tropical forests allows concealment of activities that could be sensitive and detrimental to government oversight. Modern satellite technology and sophisticated aerial monitoring have made forests less opaque, but still governments do not feel secure, especially when the forests are in border areas. Forests have been seen as sources of wealth to be allocated to politicians or military officials in return for political loyalty. The situation is changing as electoral democracy takes hold in Indonesia and political patronage changes form into political accommodation. 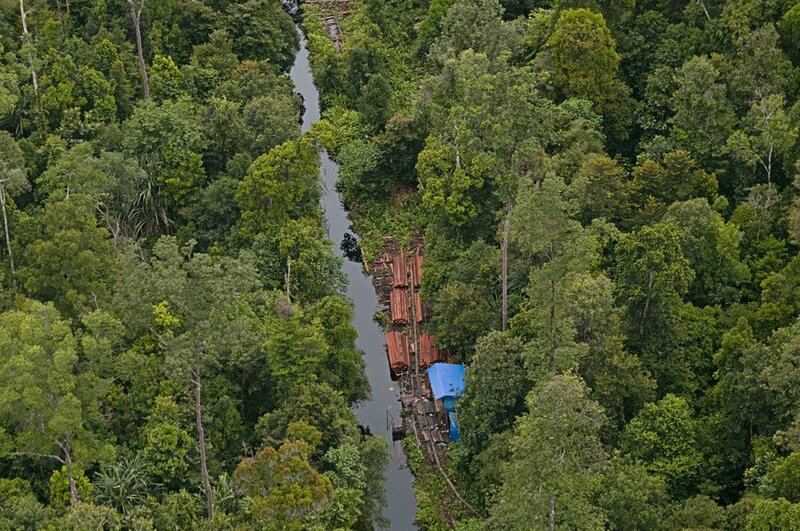 Corruption is being battled actively as the Corruption Eradication Commission (KPK) probes massive forestry cases; many of the people involved in rent-seeking behavior connected to forests are being constrained by law enforcers and independent media. A major work by Frances J. Seymour has covered the Indonesian story along with other tropical forest countries in the world. The book is Why Forests ? Why now ? published by the Center for Global Development. It is timely as well as powerful. She points out that Brazil has made the single most important reduction in carbon emissions — more than any other country — by reducing the deforestation rate in the Amazon by 80 percent. Indonesia has equal potential. Among the reasons for Brazil’s success were the government’s willingness to enforce the law against illegal forest clearing and to recognize indigenous territories. If the Indonesian government’s political will is sustained in enforcing President Joko “Jokowi” Widodo’s commitment to peatland protection and empowering indigenous communities to protect their forests, Indonesia could be the next global climate hero. President Jokowi’s commitment to forestry reform continues the position of the previous government under Susilo Bambang Yudhoyono. It has in turn empowered local constituencies, primarily indigenous peoples, advocates of good governance and political leaders seeking legitimacy on the global stage. Seymour’s book consolidates years of experience in following REDD+ as a payfor-performance scheme that has committed US$1 billion to a paradigm shift in forest management. There is now formal and growing recognition of the historic bond between Indonesian forests and indigenous peoples. Their traditional wisdom has maintained forests for generations. They are chronically in danger of giving up their natural habitat under pressure from commercial interests. Indigenous peoples are equipped with fundamental legal rights to their forests. In fact, it is expressed in the highest law of the land, the Constitution. It is the platform for expanding the rights and the institutional format of national forest management. But there is resistance from major companies and local centers who are used to having free rein over the riches of the forest. Tension in forest areas has increased since forests became the source of huge fires raging annually since 1997. Science has confirmed that peatland is the source of fires that can rage for months. Sadly, the fires are often deliberately stimulated by the desire to clear the land for the planting of cash crops. They endanger public health and ominously raise the carbon content in the Indonesian — and the world’s — atmosphere. In the worst of the fires, carbon pollution is on the scale of major carbon production from all human activities. With the support of the international community, the government has responded well with regulations and policies. The common effort of the Environment and Forestry Ministry and the newly introduced Peatland Restoration Agency (BRG) seriously addresses the problem. And now the Presidential Office is launching efforts in agrarian reform and social forestry. The fifth congress of Indigenous Peoples of the Archipelago (KMAN-V) on March 15 to 19, highlights the time of reconciliation between the indigenous peoples and the government, after years of confrontation followed by engagement. Going forward, greater challenges and opportunities await Indonesia in 2017 and beyond. Recent developments relate closely to Indonesia’s international role in global environment management as it is expected that the new United States position will be to withdraw from its customary leadership role in world action on climate change. It is a role that Indonesia will welcome. Since the revolutionary birth of the nation, forest management has been divorced from the rightful owners, indigenous peoples who have traditional wisdom to keep the forests safe. Hoping to reverse this injustice, the government now works with indigenous peoples to wrench forests away from their traditional role as cash cow for big business and power holders. Signs of major shifts are appearing as a result of efforts by the President and the Cabinet, particularly the Environment and Forestry Ministry. There is a chance that Indonesia will emerge as a global forest superpower, replacing illusions of becoming an oil superpower. Forests have such huge potential that politicians of the past have had difficult times separating priorities. Short-term interests favor quick profits from logging, pulp and paper and recently palm oil, which has taken the lion’s share of financial rewards for cynical acts of deforestation. 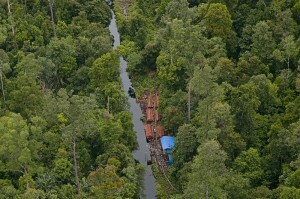 Beyond the greed for profits, deforestation destroys ecological sustenance, reaching far beyond the nation’s borders. It is now a time of opportunity as the necessity of reforming the political balance in the forests works very well with the needs of indigenous people to be recognized and empowered in Indonesia’s future. Agrarian reform now being initiated by the Presidential Office is being coordinated with social forestry efforts now coming to the surface after years of brewing underneath the surface of previous governments. Indonesia now has a larger responsibility in global climate mitigation and adaptation as the US has shocked everyone by seeming to abandon the environment. Options exist in the fight to cope with climate change; the cause is strongly supported by the private sector and academia. President Jokowi and President Obama were prime movers for the Paris Agreement, and now we must hope President Jokowi will continue with other heads of state. With the likely US withdrawal from international leadership on climate change, it’s all the more important for Indonesia and other countries to step up.